London 2012 team pursuit gold medallist and Wiggle Honda rider Dani King is getting back in the swing of things after her terrible accident at the end of last year. But now following her 10-week rehabilitation Dani is back in the saddle and racing. She has also been busy on training camps, supporting her Wiggle Honda team mates on the side lines at some early European road races, and appearing at Bike Expo, Manchester. 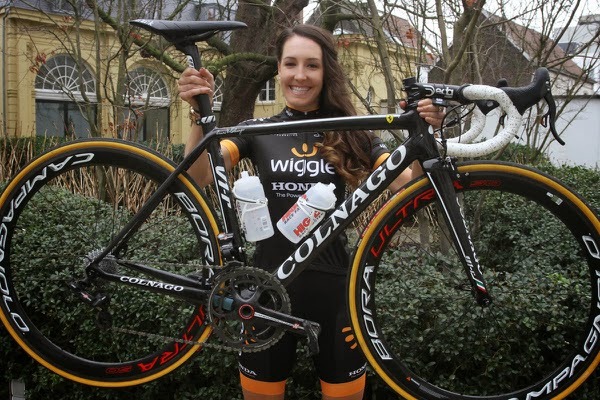 I caught up with Dani King at the team launch in Ghent. Here are a few things she had to say. "I was lucky to get a break last October – I hadn’t had that in about 3 years, which was good but unfortunately I had another forced break with the crash in November." "I can still feel pain in my ribs every now and again but it’s more of a mental battle for me now, but I’m getting there." "My first race will be in the UK, the Tour of the Reservoir, then I’ll do a few time trials. My first race with my team will be the Omloop van Borsele, which is towards the end of April. It’s a classics type race." "I’d like to target the Women's Tour. That’ll be a major goal of mine." "Rochelle [Gilmore] has done a great job in putting some great personalities together [in Wiggle Honda], so I’m really excited about racing with them this year." "I took my health for granted before the accident but I’ve found a lot of perspective since." "It is a shame they [Joanna Rowsell and Laura Trott] are not riding in this team but I’ll still see them out on the road. We communicate on social media most days. It’s not like their completely out of my life – and I’m going to Jo’s wedding this year." "Getting into the pursuit team for Rio  is gonna be a massive deal for me. It’s not gonna be easy, that’s for sure. What I was lacking for the four kilometres was strength so this road season’s about developing myself as an athlete." "I really enjoyed my presenting role on the BBC. Who knows, a future career in broadcasting would be nice. But I’ll stick to cycling for now." "My dad is my biggest role model. He competed in the winter Olympics in biathlon. 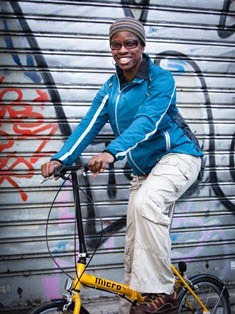 After him, Chris Hoy is a cycling role model. He is such a genuinely nice guy who is always there for me to offer advice." The full interview with Dani is now up on the Cycling Weekly website. Great to hear Dani is getting back into the swing of things after her terrible accident. She's definitely a role model of mine. Looking forward to reading your full interview with her in Cycling Weekly.